Your 401(k) statement is an incredibly useful document that can be confusing when you first look at it. It is several pages long, is full of tiny print, and has percentages and basic charts on it. If you take the time to look at it before you file it away with the rest of your financial documents you might be surprised at what you find. Here are six key pieces of information you can find inside your 401(k)Â statement. One of the first pieces of information you will find is your current asset allocation. Asset allocation shows what percentage of your current invested assets (money) are in the specific fund categories you selected. Alternatively it will show what percentage of your assets are in certain asset classes ranging from large to small and growth to value companies. Usually there will be a comparison to your current investment selections. For example, if you wanted 50% in Fund A and 50% in Fund B, but your current performance has 60% of your assets in Fund A and 40% in Fund B, it would show that difference between your current allocation and what you selected. This is to let you know if you need to sell some of your winners to buy some of your losers. Next you should look for your investment expense ratios. This is the fee the mutual fund charges you to hold and invest your money. The industry average is about 1%, but in my eyes that is far too costly. You can get great index funds for 0.20% and ETFs for even less than that. Saving 0.80% every year on expenses will add up over the years. You will be able to find the expense ratios not only on your current investment selections, but on others available to you as well. You would think this was pretty simple, but some companies mess it up. All I need to know is what the difference is between my investment cost basis and what the current value of my assets is. Some companies will include your contributions in the “gain” section, but that doesn’t show you how that money performed. It really isn’t a gain, it is a contribution. Nonetheless you should be able to get an idea as to whether you made or lost money this quarter. What’s interesting to me is this: Your quarterly gain or loss doesn’t really matter unless you’re making sure all of your contributions went through and to insure someone didn’t withdraw funds without your approval. There should be a listing for every single mutual fund you have access to invest in along with its performance history. Most companies will remind you multiple times that past performance is not indicative of future results, then turn around and market to you based on that performance. They will normally show a 1, 3, and 5-year history as well as since the fund was created. Ideally you are investing in index funds and don’t need to worry about whether or not your fund outperformed an index or not. Lastly you should be able to verify your contributions for the quarter (and likely year to make sure you aren’t contributing too much) as well as any dividends or interest paid to you. 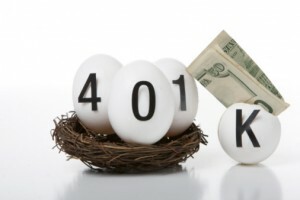 What are some other things you can learn from your 401(k) statement? Leave a comment! Kevin Mulligan is a debt reduction champion with a passion for teaching people how to budget and stay out of debt. He's building a personal finance freelance writing career and has written for RothIRA.com, Discover Bank, ING Direct, and many others. I agree with #3 and #4 and have some comments. Last year I read the 401K fine print, following the asterisk. I learned that when the statement says 9% time-weighted rate of return, that was not my individual investment performance, but rating the money manager’s performance. Nobody else who has the same 401K at my work that I spoke with knew that fact, they though they were getting a much better return than reality. One thing to note on the article, I noticed a problem with the annualized formula they used, the right parenthesis needs to enclose the + 1 for it to work.